Rock Painting Ideas believes very strongly in keeping your personal information confidential. The following policy describes what information we collect and how it is used and shared. Rock Painting Ideas collects as little information as possible from users looking to post comments and messages in the forum. We will typically collect a name (either real or alias), personal website, and e-mail address. ANONYMOUS DATA From time to time, we may use anonymous data, which does not identify you alone, or when combined with data from other parties. This type of anonymous data may be provided to other parties for marketing, advertising, or other uses. Examples of this anonymous data may include analytics or information collected from cookies. On the Website, you may subscribe to our newsletter, which may be used for advertising purposes. All newsletters sent may contain tracking pixels. The pixel is embedded in emails and allows an analysis of the success of online marketing campaigns. Because of these tracking pixels, we may see if and when you open an email and which links within the email you click. Also, this allows the Website to adapt the content of future newsletters to the interests of the user. This behavior will not be passed on to third parties.RIGHTS RELATED TO YOUR PERSONAL INFORMATION Opt-out – You may opt-out of future email communications by following the unsubscribe links in our emails. You may also notify us at [email protected] to be removed from our mailing list. Forget – In certain situations, you may request that we erase or forget your personal data. To do so, please submit a request to [email protected] Please note that we may need to retain certain information for recordkeeping purposes or to complete transactions, or when required by law. 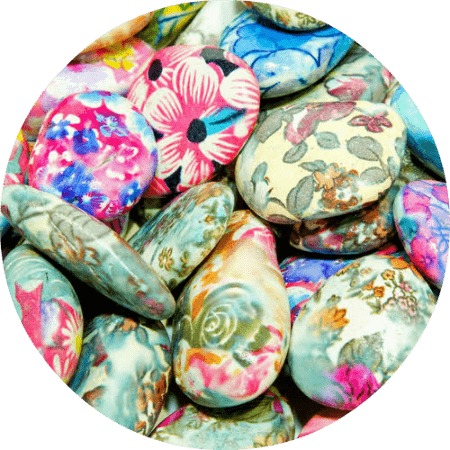 If Rock Painting Ideas chooses to send out newsletter updates in the future and we have your email address on file, you may receive a copy of our newsletter. However, at the bottom of every newsletter will be an easy way to opt-out. The editors of our site hate SPAM as much as you and have no intention of filling up e-mail boxes with unwanted messages.